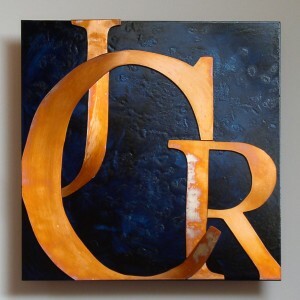 Custom letters are stunning, personalized artwork with a clean, contemporary feel. 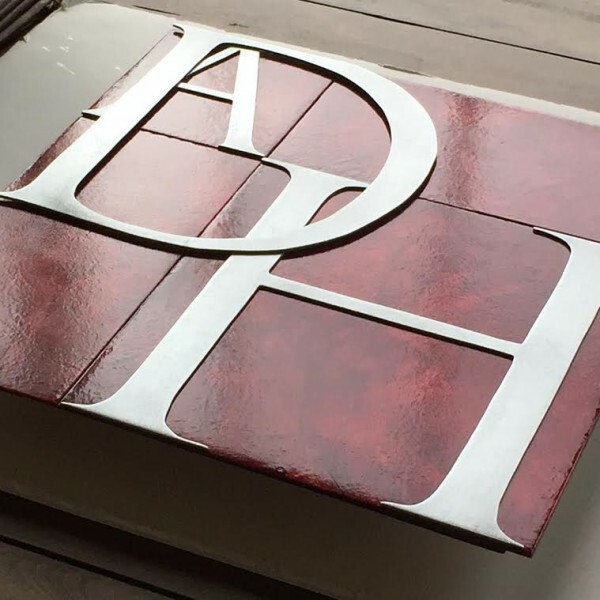 They make perfect wedding or anniversary gifts, and can be customized however you like. 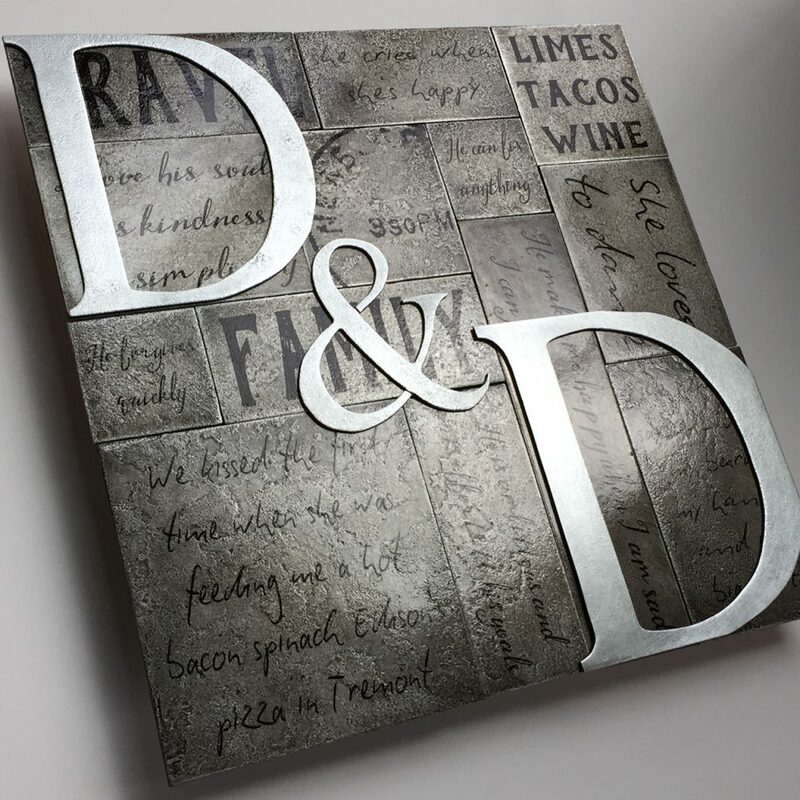 Made from hand cut etched copper or zinc, they come in a variety of colors and styles. 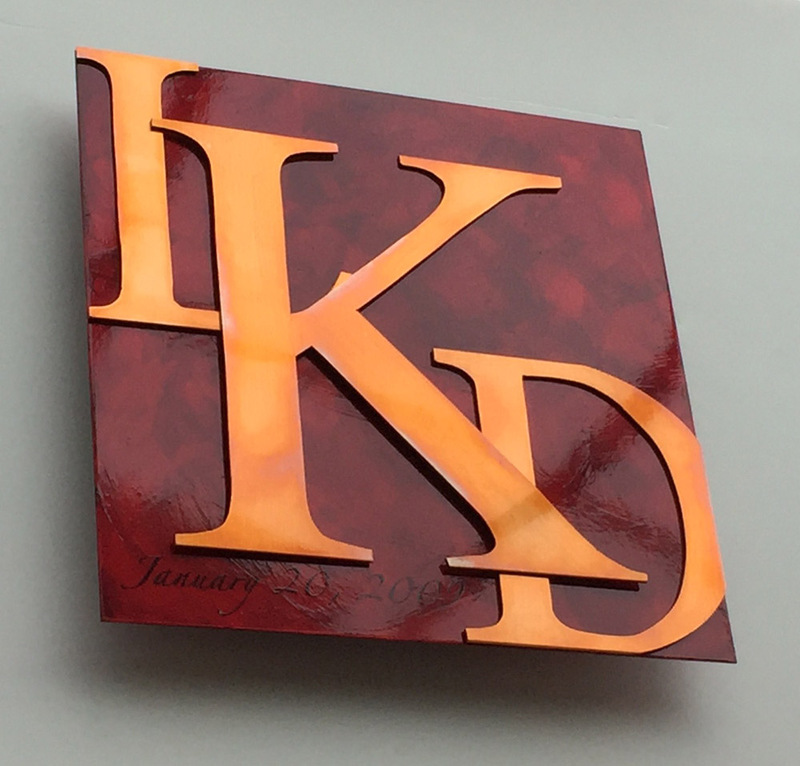 Single letters start at 5×5 inches; multiple letters (shown above) start at 8×8 inches. Want something larger? Custom letter collages can incorporate your text, photos, or even handwriting onto a colored geometric background. Ready for a custom piece? Just choose your letters and colors. You’ll receive a Photoshop sketch for approval. Like what you see? Great! We’ll email you an invoice and get started. Want to make any adjustments? No problem — no cutting takes place til you love it. Want to learn more? Click here to read about the Custom Order Process, including pricing options and turnaround times.